Beard and moustache appearance has a significant place in men’s style. 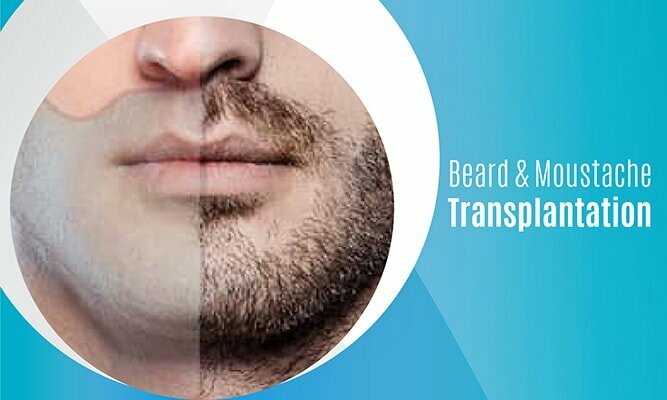 Beard transplantation and moustache transplantation is the best solution for beard & moustache hair loss caused by testosterone, for men who desire to have intensive and regular looking beard or moustache. When it comes to beard transplants, Dr. Serkan Aygın Clinic is one of the most experienced and renowned clinics in Turkey. Patients take the same advantages of Dr.Serkan Aygın Clinic’s method of FUE in beard transplantation as they take in hair transplantation. By micro FUE method, hair grafts are taken from the back of your head between two ears one by one and transplanted to the recipient area. FUE facial transplantation operations are performed under local anesthesia, and just like in hair transplantation, no severe pain or ache is experienced. There will be no scarring or stitches after the operation. Consultation: The procedure begins with doctor examination as all transplantation operations. Two main things are considered in consultation. First, the need of recipient area and secondly the number of grafts that can be gained from the donor area. Operation: Beard hair growing directions are taken into consideration during the procedure for a successful natural looking result. There are two main parts of the this procedure like other hair transplants; respectively graft extracting and the implementation of grafts to the recipient area. Donor hair will be taken from the area between the two ears on the back of the neck and will be implanted one by one with Dr.Serkan Aygın’s method of FUE. Cleaning &PRP: Day after the operation, patients get Cleaning and PRP treatment at the Clinic. Who Are The Right Candidates? Men who desire a natural looking intensive beard or mustache may choose to have a beard transplantation operation at Dr. Serkan Aygın Clinic. Men who suffer from beard hair loss or have patchiness beard with an enough donor hair are the right candidates for this procedure. After one week, the transplanted area will look very natural. Recovery of donor area is also fast, in 15 days you will get the appearance you had before the operation. Recovery instructions are same as the FUE hair transplant procedure. After six months patients see most of the final result, and in 12-18 months it is possible to see an intensive and natural looking facial hair.